The island life is truly the best life. In the Caribbean, we can relax knowing that we never, ever have to deal with winter weather. We enjoy beautiful sunshine all year long, which just makes people happier and friendlier. 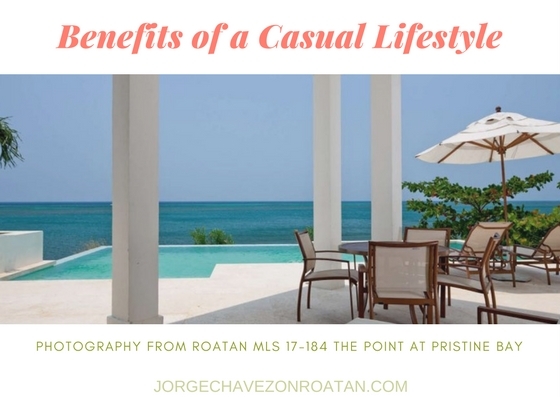 We all enjoy this sunny casual lifestyle in Roatan. It’s a huge part of why I decided to move to Roatan, and I think you would enjoy it, too. In Roatan, we don’t worry about labels or name brands. We’re not competing with each other to get the latest cool sneakers or the flashiest watches. We don’t waste our time, energy, or money on those materialistic things. Sure, you can still choose to be fashionable and stylish! But you don’t have to keep up with anyone here in Roatan. Because our weather is so warm and tropical year-round, we also don’t have to worry about a winter wardrobe. Again, that’s time, energy, and money saved! We can wear the same things all year long, adding another layer when rainy season starts and we all think it’s freezing cold at 75 degrees Fahrenheit (24C). In Roatan, we don’t judge others by what they do or do not have. You can walk barefoot down the street and wear a bathing suit every day. Or you can dress to the nines because it makes you feel good! Life in Roatan is carefree and easy and it’s all up to you. Just know that whenever you do meet someone on that street, you should stop and chat. It’s a friendly community here and our sunny weather lets us linger outside without freezing to death. That’s a beautiful thing. The climate in Roatan is what draws many expats to the island. We have tropical warmth – and humidity! – throughout the year. We never worry about heating bills, but we do have fans and air conditioning. The sunshine is what attracts people to the island. With that sunshine comes white sand beaches and crystal clear Caribbean water. We also get plenty of rain though! That’s what makes Roatan so beautifully lush and green. When the rain comes, don’t worry, it’s just doing its job to keep Roatan lovely and then it will pass along and leave us with the sunshine once again. You can count on summer temperatures staying above 80F/ 27C and the humidity being high. During the winter, temperatures do drop and the rains come, but we rarely drop into the low 70sF/23C. More typically, you can plan to wear shorts and a t-shirt all year long. If you’re packing for a vacation in Roatan, leave the fancy stuff behind – you won’t need it. All you need is beachwear and casual clothes, and don’t forget your smile! 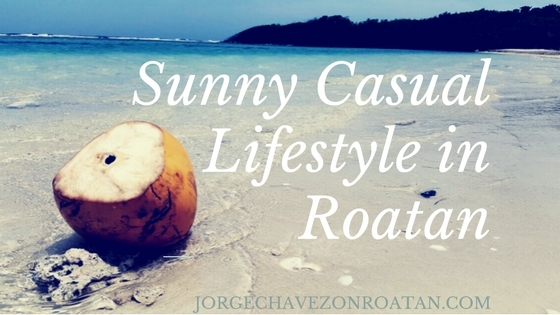 I love the sunny casual lifestyle in Roatan. It’s what drew my family here to enjoy a better quality of life. If you’re thinking of a move to Roatan, contact me and tell me what your plan is – I’m happy to help you find the right home and access the best resources.